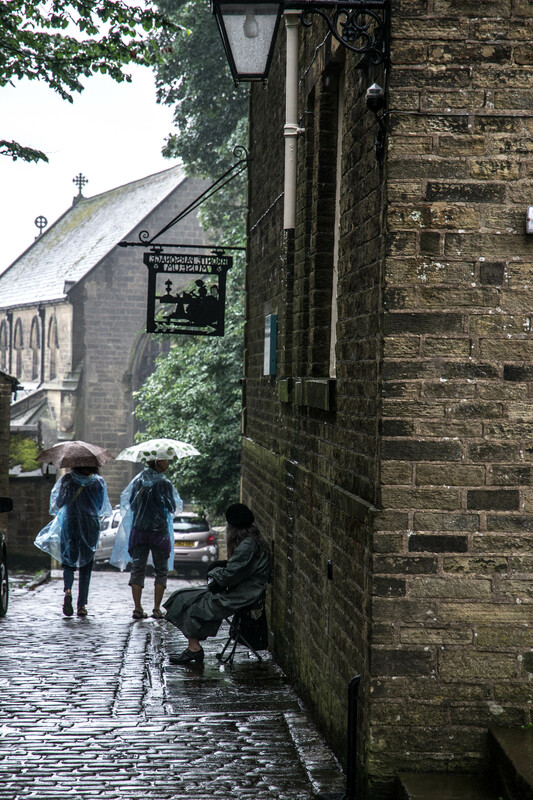 Bronte Parsonage in Haworth – lady sitting waiting for her friends in the rain. Your architecture there is so much more interesting and full of character and life than ours. I think I need to emigrate! I love that the waiting woman’s shoes reflect the museum sign style. Wonderful photo! She is also a very beautiful woman and her whole outfit was sort of French Resistance 1940. As you imply, three sisters reunited. But what of their brother? Great composition, Chris! Down t’pub! Thanks my dear.